I suspect that Valentine’s Day, with all its pink and hearts, glitter and love, can be a bit frilly at times for some school-aged boys. And I’ll take a stab in the dark and say I don’t think my friend with three sons is checking out “Pinkalicious: Pink of Hearts” on her trip to the library this week. 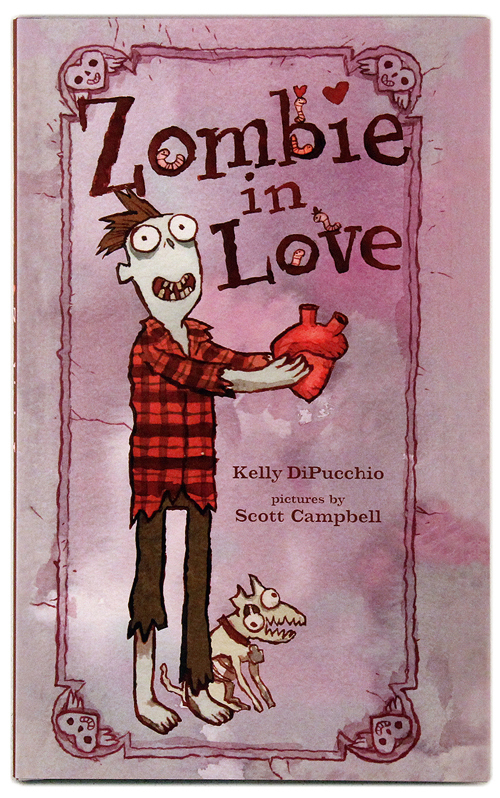 For those looking for less gooey Valentine’s Day reading material, I offer you “Zombie in Love,” written by Kelly DiPucchio and illustrated by Scott Campbell. 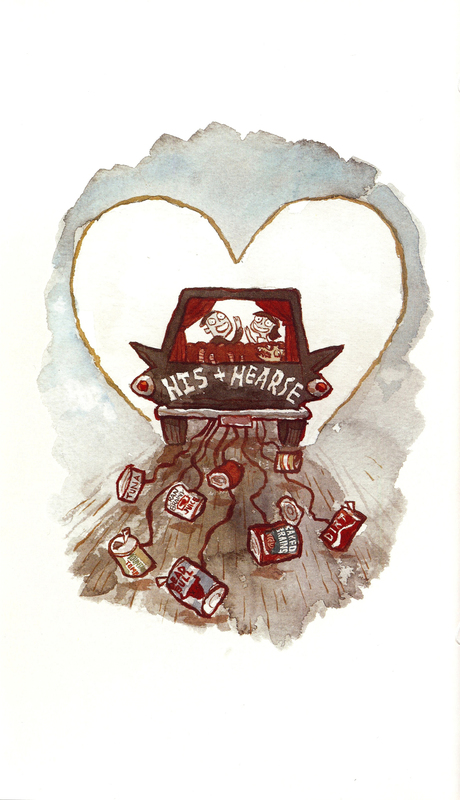 Keeping with my previous post about Valentine’s Day books, this one avoids actual mention of the holiday, and it’s been a frequently-requested, year-round staple on our bookshelf since my sister, Lindsay, gave it to one of the girls last February. 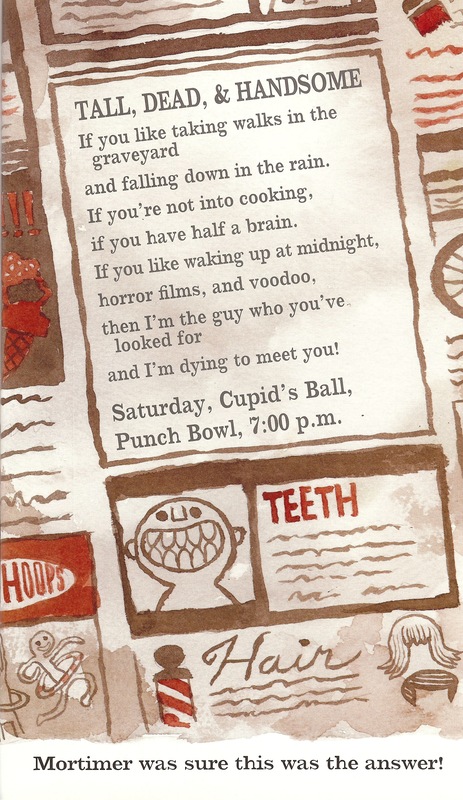 Mortimer is a zombie who, aside from the company of his zombie dog and plentiful parasites, is quite lonely and hoping to find the love of his life in time for the Cupid’s Ball. 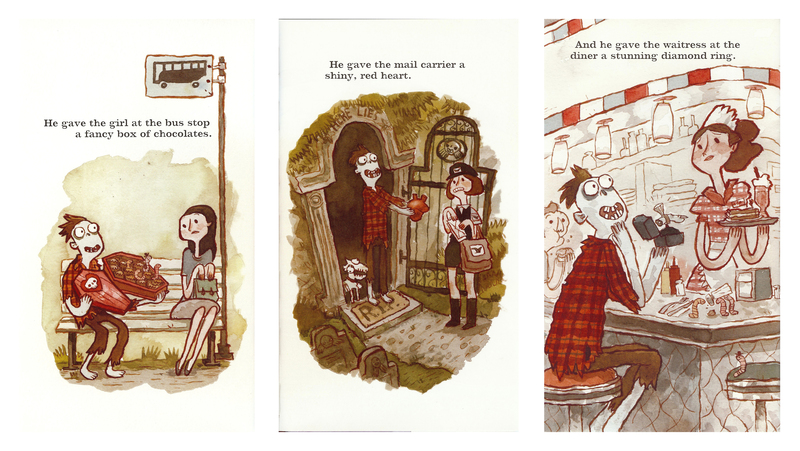 DiPucchio and Campbell offer a playful interaction between text and picture, chronicling in word Mortimer’s earnest efforts to win the ladies over but revealing in image just how wrong he’s getting it. Then I’m the love that you’ve looked for, write to me and escape. Artist Scott Campbell punches of the humor and oddity with his quirky illustrations. 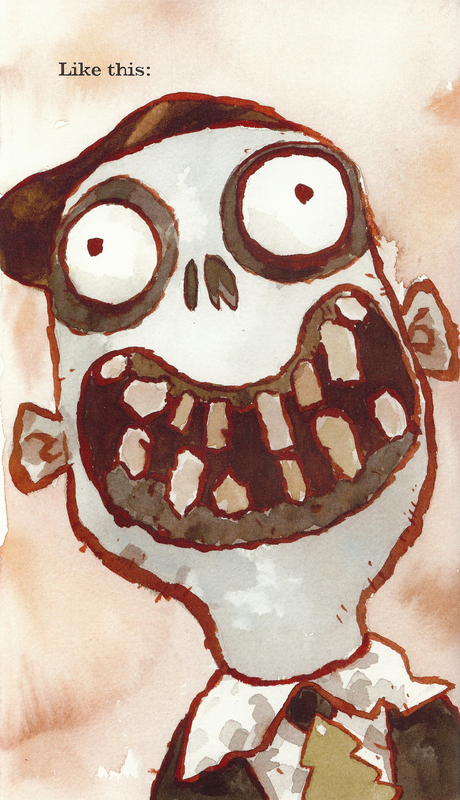 I particularly love Mortimer’s ever-present companions, a band of friendly worms who can be spotted playing catch, in the midst of a game of poker, working out and donning bowties. They remind me of Oscar the Grouch’s pet worm, Slimey. 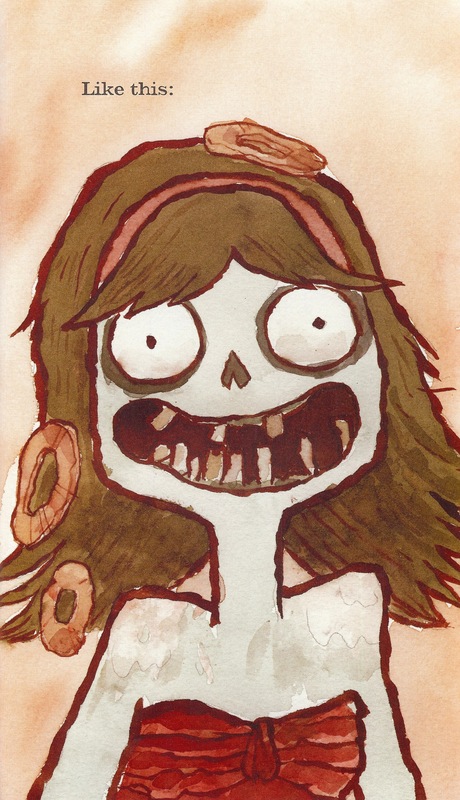 Eloise and Charlotte take the opportunity to do their best zombie-smile impressions at this point in the book. Based on their affection for the book, it comes as no surprise that it was a finalist for the 2012 Children’s Choice Book Awards.